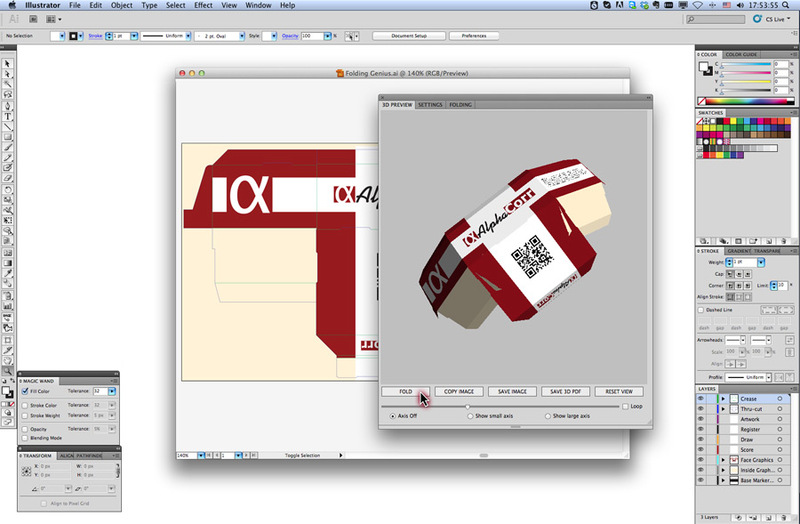 Get 3D visualization of any flat-print design. Folding Genius 3D offers precision visualization of 3D folding and assembly for existing dieline design files. 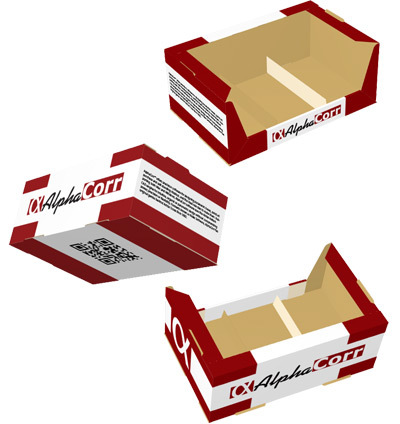 It’s great for showing off die-cut designs, including packaging, point-of-purchase or 3D tradeshow displays, or even greeting cards. Watch your flat dielines fold in 3D inside Illustrator with Folding Genius. 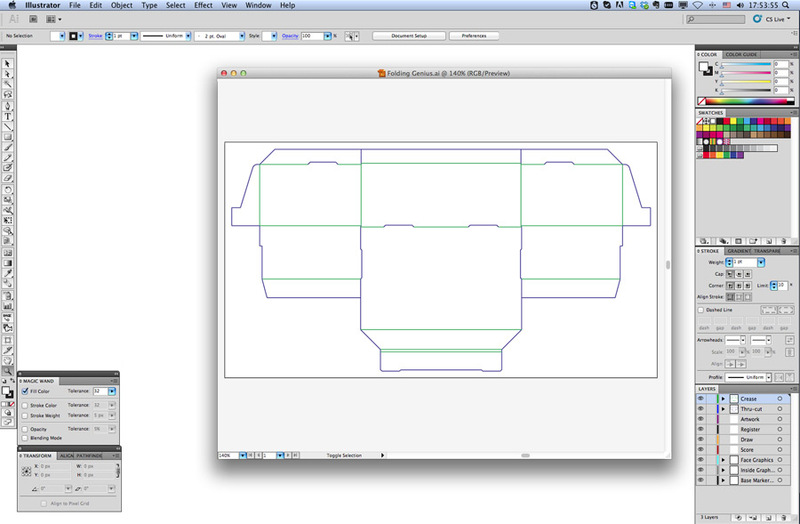 Draw your dielines directly in Illustrator or import them from any of the box design programs above. 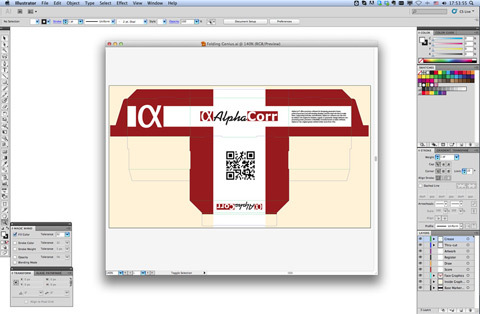 Use Illustrator tools to add graphics to the structure on layers as desired. 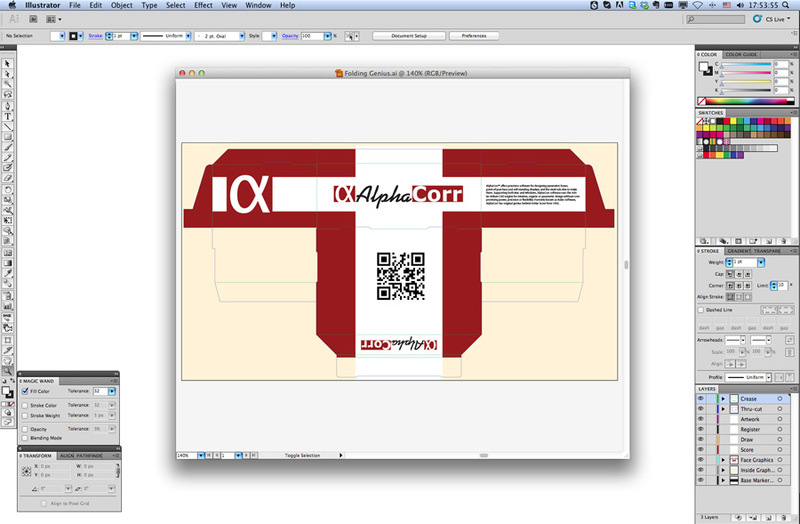 Open Folding Genius’ 3D preview window and click Fold to see the folded design appear in three dimensions. Rotate and zoom to examine it thoroughly. 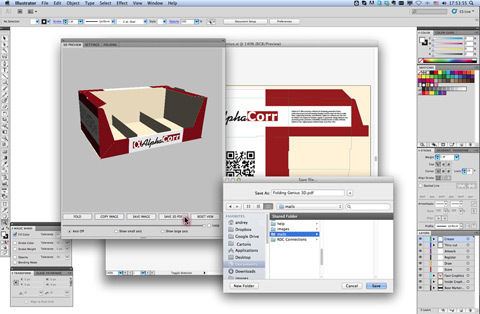 Save the image as a JPG or export your design as a 3D PDF. Support for both Mac and Windows operating systems available on the same versions as supported by Adobe Illustrator.